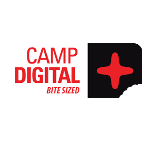 Last week Sigma hosted the first in a series of mini or ‘bite sized’ Camp Digital events in the run up to next years annual conference. The event at MMU’s mew business school explored emerging trends, best practices and real world advice for the digital and UX community. Chris has developed Sigma’s services in user research, testing and user experience consulting. As well as heading up Sigma’s UX practice in the UK, he is often the Lead Designer on many projects, helping to shape a project from the initial pitch, through user testing to the final release. Chris presented some tips, tools and techniques used in iterative, guerrilla UX testing. Reviewing which of these activities gave the best ROI against more formal testing strategies. Simon is managing director of award-winning digital marketing agency, PushON and a founder of the market leading SASCon conference. Since its launch in 2005, PushON has grown into one of the most highly regarded digital agencies in the UK with a team of 25 digital experts and an annual turnover in excess of £1m. Simon presented some tips and techniques of using analytical tracking tools to give meaningful insight to user behavior and how to use data to validate your iterative UX strategy. Based on a case study from alternative music news website, Louder Than War. Ian has over 15 years worth of experience in the business analysis field with many large Blue Chip Companies, including Fujitsu, IBM, The AA and British Steel. However, he is currently a Principal Business Architect within Serco’s public and private sector, involved in both bid and transitional work in the services industry. Using thought provoking material, Ian’s presentation examined how “unleashing the potential of the mind” can bring about new ideas which can be applied in the world of analysis. Using examples, quotations and different perspectives, Ian showed how analysts can still be creative, even when restricted by numerous constraints. 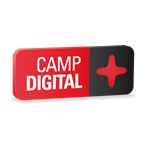 Camp Digital is a free, one-day event in Manchester exploring some of the most important and emerging themes in the digital industry. Why not check out some more presentations and videos here?